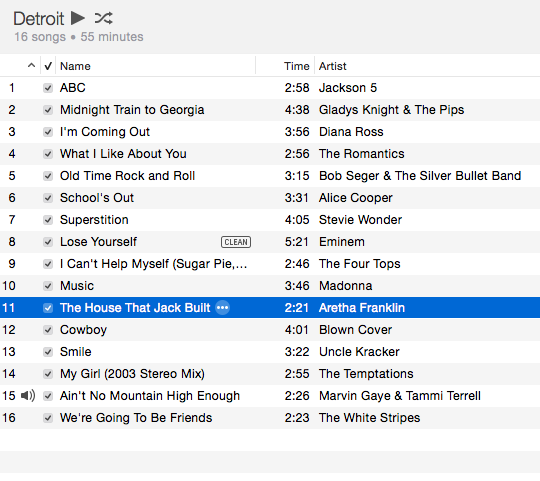 This week I am using a Detroit-themed playlist in many of my classes. It is so awesome! I got the idea a couple weeks ago when Jessica was here. As a proud Detroiter, of course Music of Detroit popped up in our conversation about what themes I could use. The reason I like this playlist most is the huge variety of music. From Motown to Eminem, it’s unlikely someone won’t like at least one song on the list. Saturday I had great plans to run ten miles. But then I woke up, didn’t need to go meet the group (my part of the training program ended), and then my Garmin needed to be charged, and then this and then that and the other thing. Turns out, I really rely on meeting the group on Saturday mornings. Eventually I finally got myself out for a run but it was only 6.5 miles instead of 10. It was super hilly so I think that counts for some extra…right? It was kind of a fun run. I went through Rock Creek Park for a bit of it, which I haven’t done by myself in quite awhile. But then a gigantic hill coming out of the park was intense! Sunday morning started out with double spin class followed by a 7 mile run with Alison. I decided I haven’t done Mass Ave in awhile so that’s what we did…it was tough following two classes and a hilly run the day before! I definitely wouldn’t have gotten out there without the push from Alison. Then, I made a stop at Fleet Feet to order new shoes…I decided I probably couldn’t put it off much longer. Assuming I actually tracked all of my miles accurately, these beauties have 420 miles on them. Whadya think? 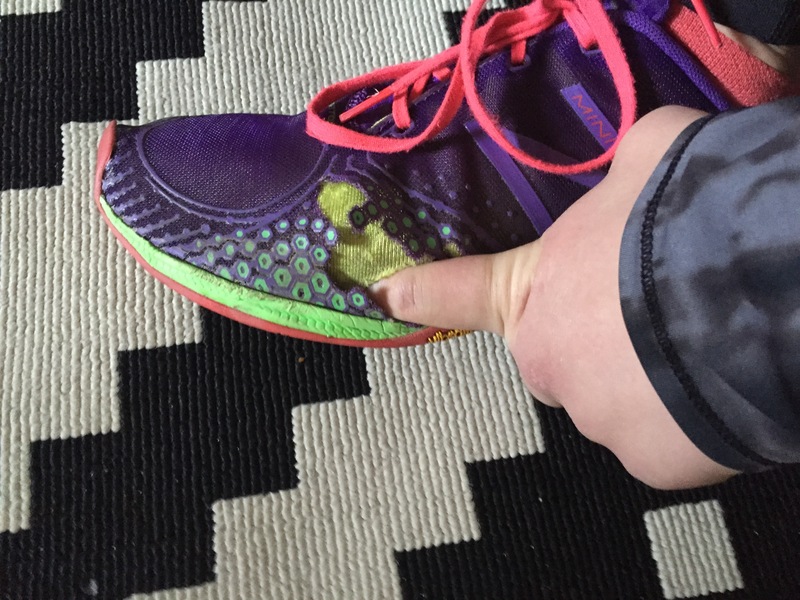 Time for new shoes? ← A Weekend of Food!